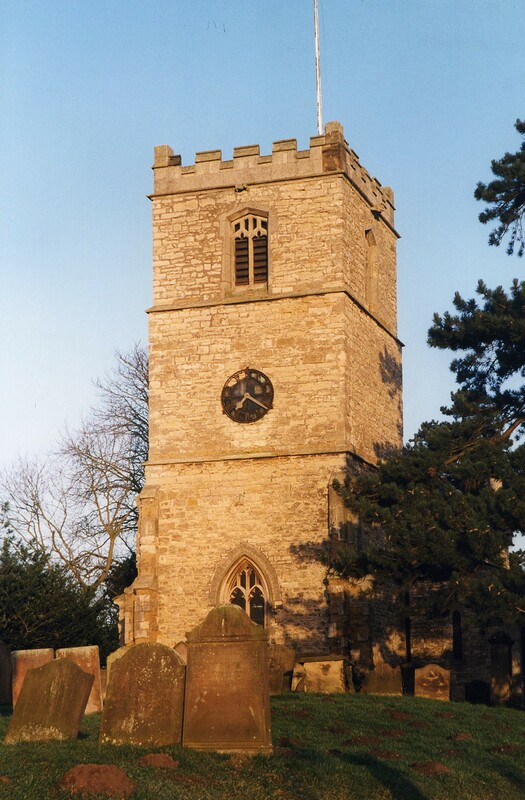 You can also perform a more selective search for churches in the Waddingham area or see them printed on a map. The original Anglican parish church has long ago perished. It was replaced by the Church of St. Mary and St. Peter. The original church was dedicated to Saint Peter only. The current Anglican parish church is dedicated to Saint Mary and Saint Peter. This church has a 13th century chancel arch and a tower that was added in the 15th century. This church was largely rebuilt in 1858-1862. A photograph of St. Mary and St. Peter church is at the Wendy PARKINSON English Church Photographs site. The Anglican parish register, which includes entries for Snitterby, dates from 1652. The Lincolnshire Archives has the church Monument Inscriptions for 1711-1982 (Reference 379). In the early 1900's the church is listed as being in the Corringham Deanery. The Primitive Methodists had a chapel here, built in 1859, as did the Wesleyan Methodists. It appears that only the Wesleyan Methodist chapel remains. For information and assistance in researching these chapels, see our non-conformist religions page. Waddingham is a large parish and village about 164 miles north of London and 8 miles south of Brigg. Snitterby parish lies to the south. The parish covers about 3,750 acres. The parish includes the hamlet of Brandy Wharf on the New River Ancholme's navigation canal. Stop by the Marquis of Granby public house and ask about its history. By automobile, take the A15 north from Lincoln, turn east onto the B1205 and stay on that road for about 1/2 mile. The road transects the village. Ask for a calculation of the distance from Waddingham to another place. You can see the administrative areas in which Waddingham has been placed at times in the past. Select one to see a link to a map of that particular area. According to Wikipedia the parish originally had two settlements on either side of Waddingham Beck. Stainton, where the present church is located and Waddingham. Both were listed in the 1086 Domesday Book. The Railway bypassed this village, but there was a station at Kirton in Lindsey only four miles to the northwest. It was part of the Great Central Railway. Check the 1716 Waddingham Land Deal list submitted by Neil Atterby. In 1913, the principal landowner was Thomas GREEN. David WRIGHT has a photograph of the 1914-1918 Roll of Honour in the parish church on Geo-graph, taken in February, 2006. Richard CROFT has a photograph of the War Memorial near the parish church on Geo-graph, taken in November, 2013. For a photograph of the Waddingham War Memorial and the names on it, see the Roll of Honour site. This place became a modern Civil Parish shortly after those were established. The parish was in the East Division of the ancient Manley Wapentake in the West Lindsey district in the parts of Lindsey. The parish was also within the Soke of Kirton-in-Lindsey. The Common Land here was enclosed in 1700. This poor of this parish had £20 yearly, applied in fuel for poor widows of the parish. As a result of the 1834 Poor Law Amendment Act reforms, this parish became part of the Caistor Poor Law Union. Bastardy cases would be heard in the Brigg petty session court. A Free School was founded here in 1719 by Mr. James THOMPSON. The school was rebuilt in 1830. It was later renamed the Public Elementary School. In 1912 the average attendance was 92. The parish formed a School Board of 5 members in December, 1875. Visit the Waddingham Primary School website. Alas, there is no school history posted there.